Named for the original Goddess of Everything, this swing-y tunic is flattering on zaftig or willowy figures, tall or petite! 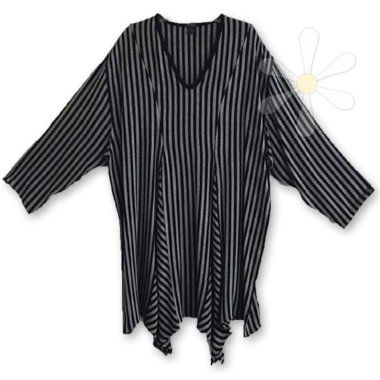 This exact garment in stock now in our fabulous woven stripes! To see measurements and more photos, see our main GAIA page.